From the point of view of the Mental Health and Smoking Partnership there was much that looked delicious about the proposals in the NHS Long Term Plan. The plan expresses a desire to take ‘specific action’ to reduce smoking among people with long term mental health conditions and states that this will be in the form of “a new universal smoking cessation offer” that will be for all “long-term users of specialist mental health, and in learning disability services”. And, the icing on the cake, a commitment to further explore the contribution e-cigarettes can make to inpatient mental health settings. Given that this fulfils several recommendations made in ASH’s 2016 report The Stolen Years, which the Partnership is working to implement, you can imagine that we were fairly pleased. How will this fit with the current activity to implement NICE guidance on smoking in mental health trusts? Many trusts have been taking a proactive approach to implementing NICE guidance PH48 to better address smoking. 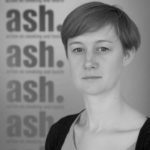 The recent ASH survey of trusts progress on this finds good evidence of progress in many areas. The challenge for NHSE nationally is not to lose this momentum while trusts wait and see what the new offer looks like and that the new service is supportive of the work that trusts are doing. How long will it take to see money on the ground and who will see it first? It remains somewhat unclear when there will be money available and how long its roll out will take to all trusts. How work will be sustained after the end of the five year plan is also a question that needs answering as reducing rates of smoking in this population is going to take much longer. What is the best model of support in the community? While there is more work to be done to support smokers in inpatient settings there are working models of how this can be done well in many places. Effective models of support specifically for smokers with a mental health condition in the community are less common and where the capacity, expertise and motivation exists to deliver services is also unclear. ASH is undertaking work to look at community support which we’ll feed into discussions. What engagement will there be with partners outside the NHS? There are many other partners involved in both the delivery of smoking cessation support and mental health services in localities beyond the NHS. Local authorities, private and voluntary sector providers, all have a role to play as do primary care providers. Will success be measured and will commissioners hold providers to account? Evidence and experience tells us that having a service in name does not mean that it will deliver in practice. Key to making a difference to the incredibly high rates of smoking among people with a mental health condition will be ensuring that providers are judged on outcomes. These are just the first five questions to occur to us and no doubt there are many more to answer as the details are developed, not least how much resource will be allocated, on what basis and to what specific ends? We’ll be keeping a watching brief as plans develop and thinking hard about the answers to these questions. If other partners in Equally Well want to share their thoughts we’d be delighted to hear them.